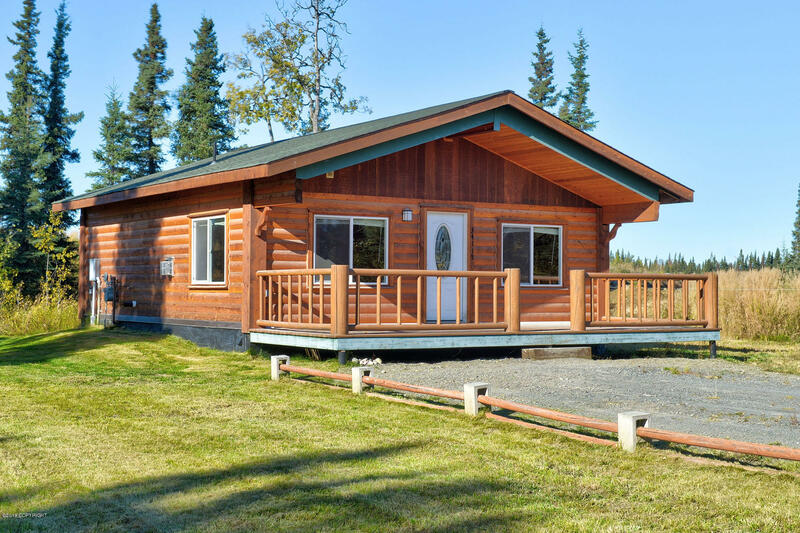 DOWNSIZE & LIVE SIMPLY in this adorable log cabin. Just professionally cleaned & ready for you to move in! 2 bedrooms & a full bath, laundry closet in the hallway with stack-able washer & dryer. Large open living design with high vaulted ceilings, stainless appliances, neutral flooring & counter tops & beautiful wood everywhere. Large covered front deck to enjoy your summer days. Convenient area.